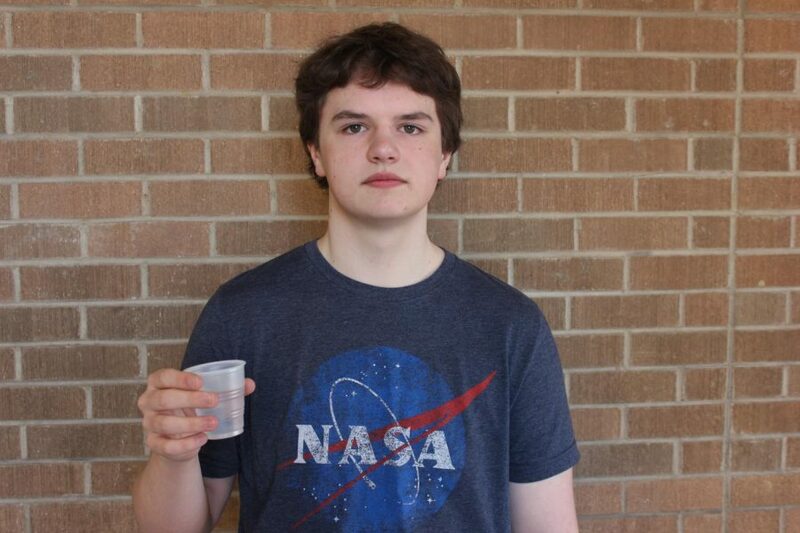 Junior Carter Knutson plans to pursue graphic design as a career and even develop his own video games. For now, however, he’ll stick to drawing aliens and robots in the margins of his papers. What is your favorite thing about West Delaware? From what I hear about other schools, this one seems friendlier. In a house, ‘cause hopefully by then I’m a homeowner. Sell me a glass of water. There’s nothing good about this glass of water. That’s $1.99, sir. I guess genuinely being happy. My feet are kinda flat.